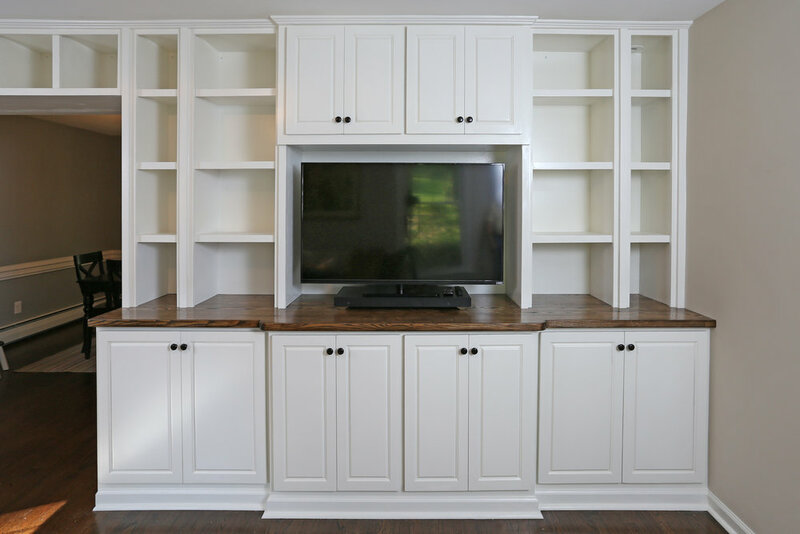 For this set of cabinets, the client wanted plenty of storage along the bottom with a series of open shelves and cubbies on top. They also wanted an area to house their TV and other electronics. 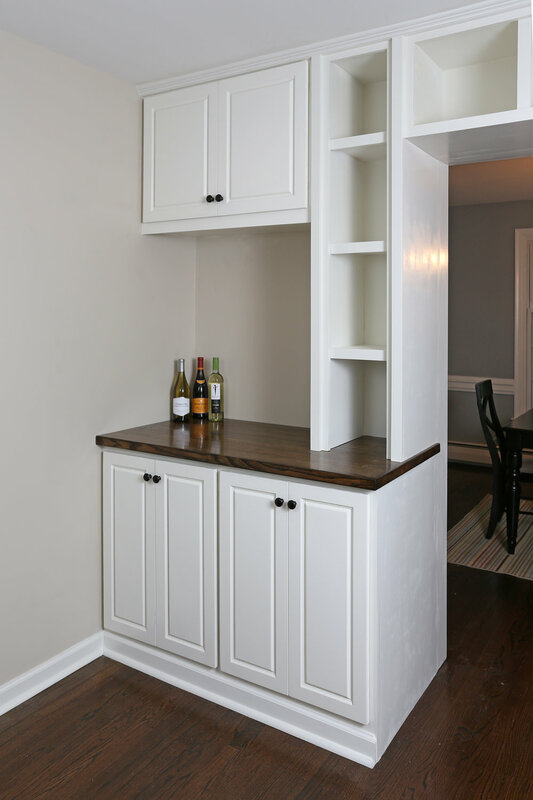 I designed that area to extend forward beyond the adjacent cabinets to provide visual interest. In the first round of design this was intended to be a desk area, but it was later changed to cabinets. Now it seems to have become a bar, which is always a good move. The client wanted the built-ins to frame the doorway, which you can see with this view into their dining room. The whole piece was tied together with a small crown detail and baseboards to match their existing trim.